I've recently watched an incredible documentary detailing the bitter and greedy persecution of Dr. Stanislaw Burzynski. As of this post, that documentary can be viewed here for free. I highly recommend watching this documentary in order to completely understand the evil and tyranny that has slowed down this very important progress in cancer therapy. It shows the relentlessness of the Texas Medical Board, the Food & Drug Administration, the US Federal Government, and the devious practices of the National Cancer Institute, in protecting the profits of special interests in the cancer therapy "industry". For his courage, his perseverance, and his medical breakthroughs, I am adding Dr. Burzynski to my list of people who I consider "great". More information on this documentary can be found here. 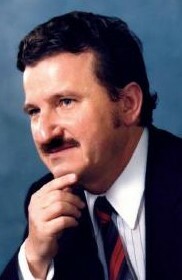 Dr. Burzynski's clinic's website can be found here. I will also add, if I or any of my loved ones have to go through the ordeal of treating cancer, I will do everything in my power to be treated by Dr. Burzynksi's clinic. When Does Law Become Criminal?